A water filter takes away tap water impurities like chlorine taste, odor, zinc, copper, cadmium, and mercury. There are several water filters for soft water filtration like activated carbon filters, reverse osmosis, alkaline water ionizers, UV filters, and infrared filters. Pitcher water filters are common and use granulated activated charcoal to remove contaminants. Although they are inexpensive, they require frequent replacements for the filter and cartridge. Ultimately, when an active carbon filter becomes clogged (or for some reason can no longer attract particles and contaminants) it becomes ineffective and useless. That's when it's time to replace it. If you detect an odor in the water, or it takes on an unpleasant taste, it's most likely time to replace your water filter. There could also be a gradual decrease in water pressure, which signals the need for a new one. You could always use the visual indication (located on filters with clear containers) that let you know when the filter is dirty and in need of a change. Always check the manufacturer's water usage guidelines to make sure you haven't exceeded them. 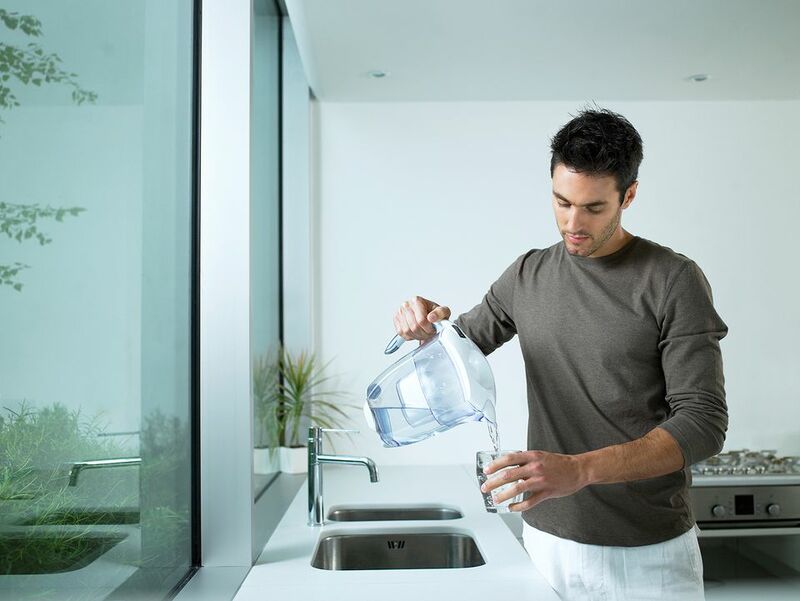 Replacing your water filter, as needed, ensures that your water filtration system is working effectively. You should always keep a backup filter on hand, for convenient change-outs. Water filters are sold by brand and the part or model number can be easily found through the system's manual or manufacturer's website. If you want your water filter to continue to remove contaminants, you'll need to replace it frequently. Otherwise, the flow rate of the water being produced from the water filter system will slow down, resulting in a poorly working system (or one that's not working at all). Making sure your drinking water is safe and tastes great will go a long way. There are models for carafes, faucets, sinks, and countertops. Water filter costs vary dramatically and can jump at affordable prices like $20 to an overwhelming $2,000. Popular brands like Amway, Aquasana, Brita, GE, and Whirlpool offer an array of filter options that treat water with different technological methods. Buying Guides from trusted consumer reports will help you understand which water filter is best for you. Consider installation, convenience, and water filter tests before purchasing a water filter to invest in long-term. These reports explore water quality, levels of contaminants in your water, and EPA drinking water standard comparisons. Your local or state health department may also be able to provide free test kits for you to better understand the water in your community. How Frequently Should Kitchen Cabinets Be Cleaned? Why Wash Dishes in Hot Water?